I’m the first to admit I’m very particular when it comes to artwork but one look in this shop and it was love at first sight… even with a moustache! My youngest son loves all the hype that comes with charity event Movember – apparently, when you’re a four-year-old moustaches are hideously funny. 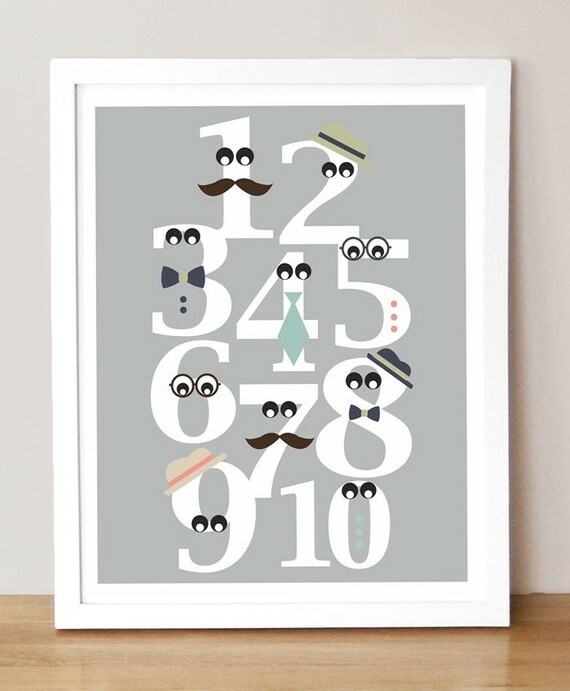 When I stumbled over this print I knew he’d be delighted – after all, numbers combined with moustaches, neck ties, hats and googly eyes – what’s not to love!? The Mister Numbers print is a giclée print using acid free water colour paper and is available in three different sizes. I love the contrast of white numbers on the grey background, but if that’s not to your liking, Sugar Fresh offer the same print using coloured numbers on a white background! 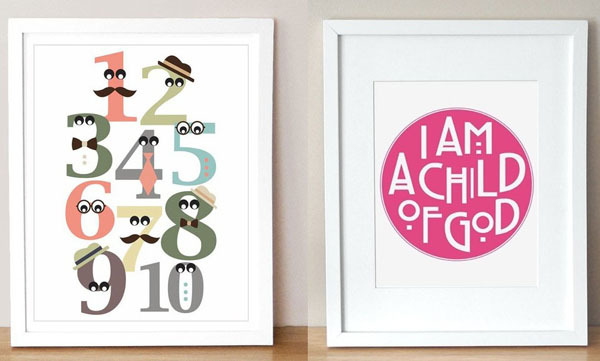 Sugar Fresh have many gorgeous prints that are well worth a look, including Christian message prints that would make a great christening or baptism gift. Get your Mister Numbers print from US$13 from Sugar Fresh. Easy international delivery to your door is available.